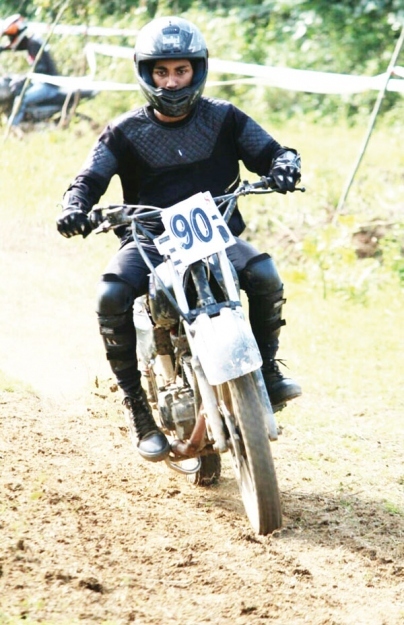 VALPOI: Sushant Borker, Neha Masurkar and Naved Shaikh won their respective categories as the State-level dirt bike race hosted by Tapla Boys in association with Manipal Ambulance service drew to a close in Kopardem village here. Thousands of spectators and bike lovers across the State rushed to the village to see the racing sport organised to motivate safe riding with proper safety gear. Around 65 bikers across the State participated in the competitions in eight categories. In the Impulse class, Sushant won the first place while Farhan Shaikh bagged second place and Basith Khan settled for third place. In the four stroke class Sushant Borkar again won the first place while Basith Khan secured the second place while Askar Ali stood third. Shabbudin Sayed won the first place in the 2 stroke class category while Trilok Naik and Tanvir Shaikh secured second and third place finishes respectively. In women scooter class, Neha reached the final line first while Asha Sawant came second and Rita Mascarenhas finished third. In the novice class category, Naved Shaikh secured the first place, Abhishek Naik came second and Saurabh Shetkar settled for third place. In beginners class, Naved stood first while Faizal Mulla came second and Saurabh Shetkar finished third. In Valpoi local class, Naved again secured first place while Rehan Khan and Ayan Shaikh came second and third. In Indian expert class, Sushant Borkar, Basith Khan and Farhan Shaikh bagged first, second and third place. One of the organisers Atik Shaikh said "This event was organised to give opportunity for riders to participate and learn disciplined riding by following rules, we want to uplift the motor sports by encouraging riders to ride safely by using proper safety gear with our guidance and training. Also for women empowerment we had a women’s scooter class where 7 women participated and showed their talent.